Most of the human genome—98 percent—is made up of DNA but doesn't actually encode genes, the recipes cells use to build proteins. The vast majority of genetic mutations associated with cancer occur in these non-coding regions of the genome, yet it's unclear how they might influence tumor development or growth. 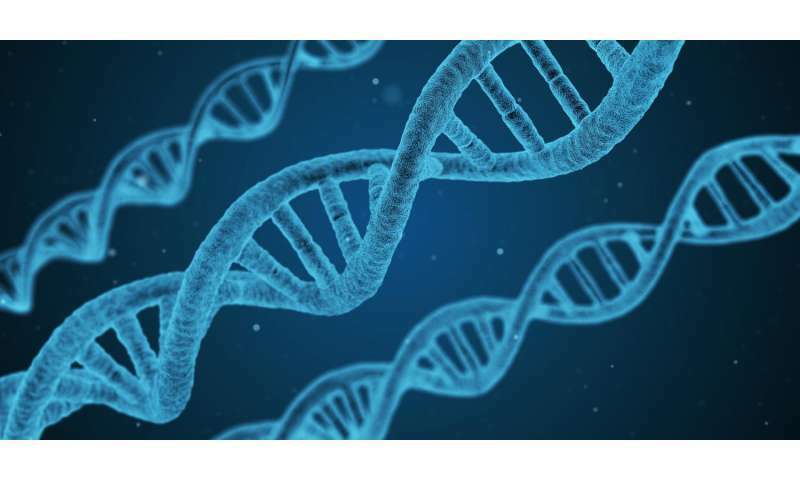 Now researchers at University of California San Diego School of Medicine and Moores Cancer Center have identified nearly 200 mutations in non-coding DNA that play a functional role in cancer. Each of the mutations could represent a new target in the search for cancer drugs. "Most cancer-related mutations occur in regions of the genome outside of genes, but there are so incredibly many of them that it's hard to know which are actually relevant and which are merely noise," said senior author Trey Ideker, Ph.D., professor at UC San Diego School of Medicine and Moores Cancer Center. "Here for the first time we found about 200 mutations in non-coding DNA that are functional in cancer—and that's about 199 more than we knew before." When doctors and scientists refer to "cancer genes," they're usually talking about the several hundred known genes that, when mutated, clearly help drive tumor formation and growth. When mutations occur within genes, they can shut down production of the protein that the gene encodes, or cause a malfunctioning version to be produced. For some of these cancer-related gene mutations, there are therapies that specifically target the mutation to inhibit tumor growth, an effort known as personalized or precision medicine. Researchers had previously tried looking for an answer in The Cancer Genome Atlas (TCGA), the National Institutes of Health's database of genomic information from more than 15,000 human tumors representing many cancer types. But they found only one non-coding mutation that seemed to play a role in cancer (it's called TERT). According to Ideker, those previous attempts just couldn't match up non-coding mutations to cancer cell behaviors. His team also relied on TCGA data, comparing the tumor samples of 930 cancer patients to normal tissue samples from the same patients, but this time the researchers added an extra step. "The secret sauce was to look for changes in gene expression," said Ideker, who is also founder of the UC San Diego Center for Computational Biology and Bioinformatics and co-director of the Cancer Cell Map Initiative. "One example that stood out was a non-coding mutation affecting a gene called DAAM1," said first author Wei Zhang, Ph.D., a postdoctoral researcher in Ideker's lab. "DAAM1 activation makes tumor cells more aggressive, and better able to invade surrounding tissues." Next, the researchers will try to combine these non-coding mutations with coding mutations and determine if there are subtypes—certain types of breast cancer that have a common pattern of both coding and non-coding mutations, for example. Their goal is to find actions for this information, such as whether or not a patient has a particular mutation pattern that can provide diagnostic or prognostic clues, or inform a particular approach to therapy.